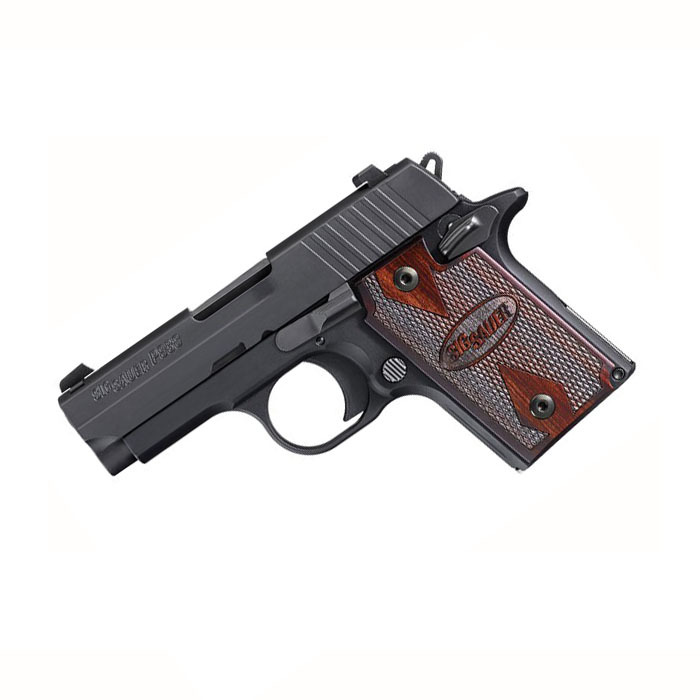 Slightly larger than the P238, the Sig Sauer P938 Rosewood 9mm is chambered in 9mm and has a standard capacity of 6+1 rounds. Single Action Only, with an ambidextrous external thumb safety, the P938 is a very accurate pistol, much like the 1911 platform handguns, except much smaller! Easy concealment, 9mm, all metal contstruction. Comes with one 6RD magazine, lock, and case.